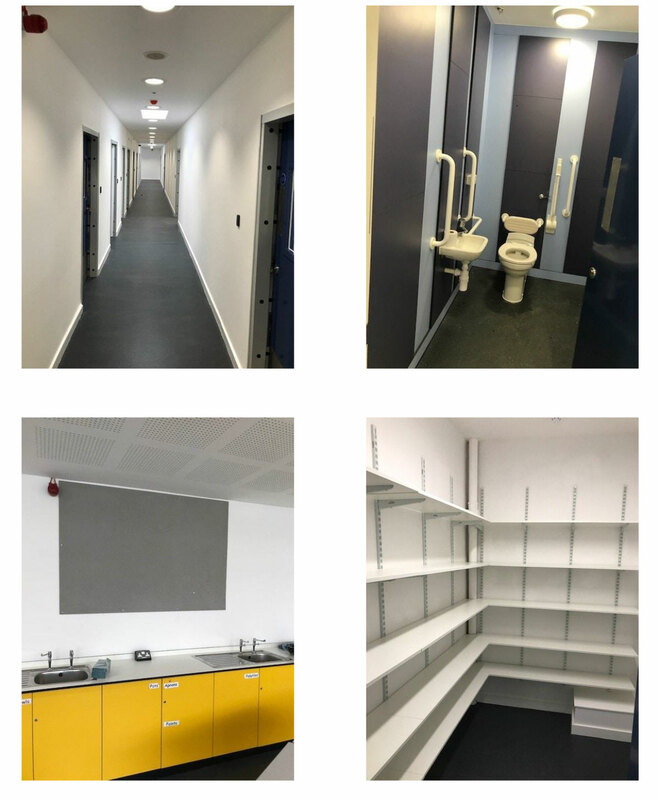 The works comprised of a summer refurbishment of the Southern and Eastern areas of the existing school building. The works result from a greater masterplan extension and refurbishment of the school. 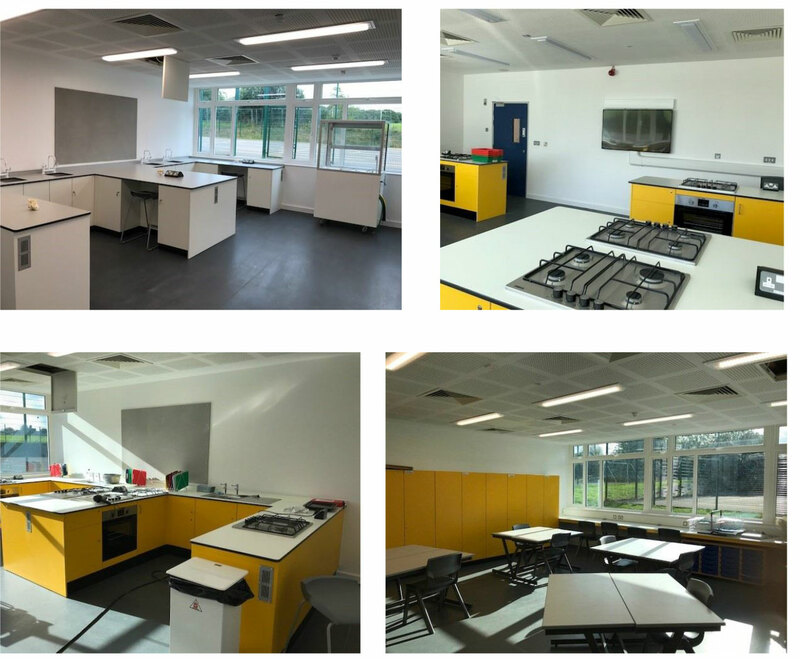 Works focused on alterations and modernising of five existing classrooms creating New Science, Food Technology, Art/Vocation and Design & Technology Areas. Also involved were alterations to circulation spaces with a new fire escape and refurbished ancillary spaces. Services in these areas are all upgraded to comply with current standards. ▪ Bricks to match existing masonry construction. ▪ Fan coil units for improved heating and cooling in refurbished areas. ▪ Gyptone Quattro 41 acoustic ceiling installed in refurbished areas. ▪ Insulation installed to roof and walls to improve thermal performance of refurbished spaces. ▪ Fully refurbished and modernised electrical systems to areas affected by works. ▪ Installed new specialist furniture in Science, Food Technology, Art/vocation and Design Technology Classrooms. ▪ New window systems to refurbished areas. ▪ New robust steel doors and frames. ▪ New timber cladding above windows to tie in with future projects.